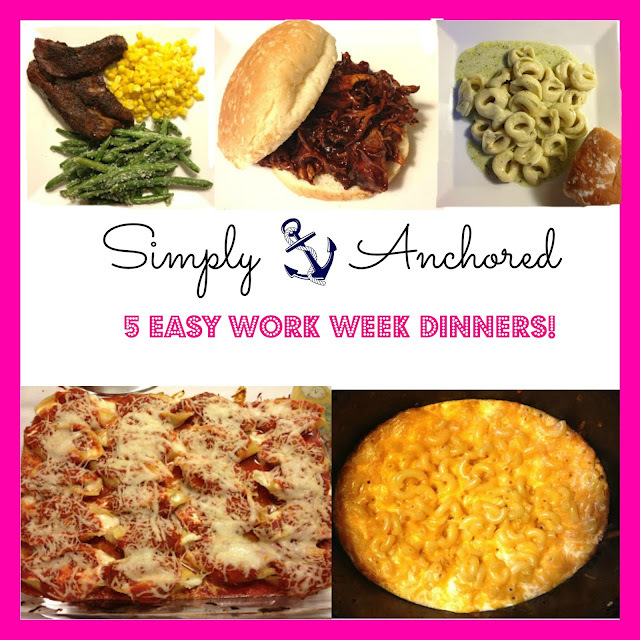 Simply Anchored: 5 Easy Work Week Dinners! 5 Easy Work Week Dinners! During the week it can be hard to make dinner when you have worked all day (whether going to work or being a stay at home mom - since that is just has hard of work! ), kids to take care of, and you're exhausted! Here I have compiled a list of recipes that will get you through the work week! Each one is simple yet delicious!